Football season is finally here! AT my house, that means that it's also time to create lots of fun new foods for us to enjoy while we watch our Houston Texans play! 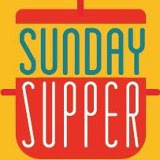 Football food should be fun to eat and stress-free to make -- because I don't want to miss a single play in the kitchen. 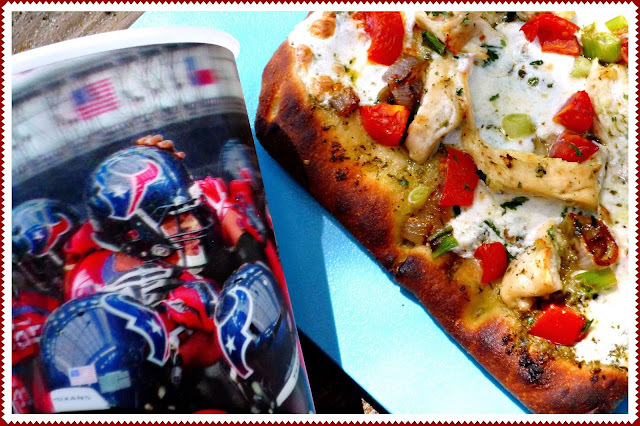 With Stonefire Authentic Flatbreads, I can whip up creative flatbreads in no time for us to enjoy while we cheer on the Texans. Stonefire recently sent me a selection of their delicious naan bread, pizza crusts, and flatbreads to play around with in my kitchen. 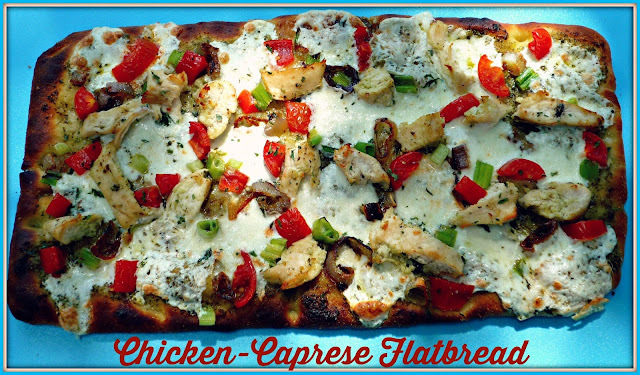 For this week's game, I created colorful and tasty Chicken-Caprese Flatbreads. I prepped all of the ingredients the morning of the game, then assembled and baked about 30 minutes before kickoff. 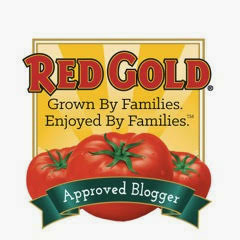 Add some chips and dip and cold drinks, and it's a party! 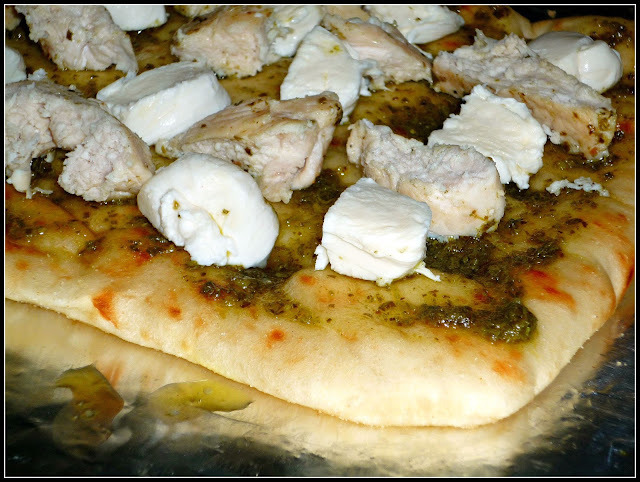 This zesty flatbread features all of my favorite caprese salad ingredients: pesto-flavored chicken breast, creamy fresh mozzarella, diced ripe tomatoes, and basil-infused pesto. I also added some caramelized shallots and green onion for additional color and flavor. 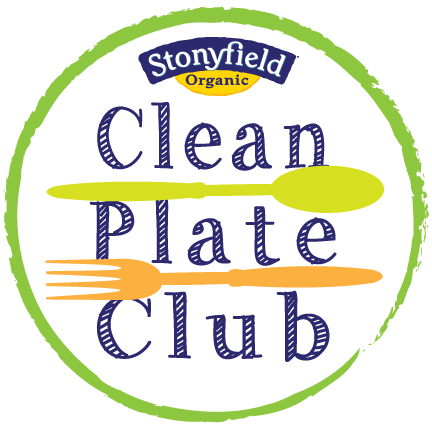 Since this flatbread features just a handful of ingredients, be sure to buy the best-quality items you can find -- it will really make a difference in your final results. Come and let me show you how easy this flatbread is to assemble! Step 1: Preheat oven to 350.Rub the chicken with 2 tbs. of the pesto and set aside. 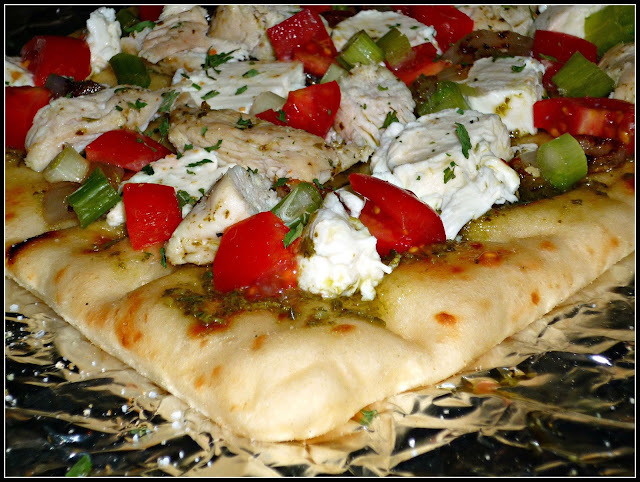 Place the flatbreads on a large rimmed baking sheet. Spread each with half of the remaining pesto. Top each flatbread with 4 ounces of the sliced fresh mozzarella. Then, add 1 tbs. of the olive oil to a large non-stick pan over med-high heat. Cook the chicken until brown on both sides and cooked through -- about 4 minutes per side. Chop into bite sized pieces and arrange among the mozzarella on the flatbreads. Step 2: Add the remaining 1 tbs. of olive oil to the same pan you cooked the chicken in. Add the shallots and cook over med-high heat for about 5 minutes, until caramelized. Add the caramelized shallots to the flatbreads, along with the chopped tomatoes and green onions. Sprinkle with parsley and salt & pepper to taste. Step 3: Bake the flatbreads for approximately 12 minutes, until the cheese is melted and the flatbread is golden brown. I like to turn the broiler on for the last 1-2 minutes to get the ends of the crust nice and crispy! To serve, simply cut each rectangular flatbread into vertical strips, then cut each strip in half -- you should get eight pieces per flatbread. We like to grab our good-luck cup for good measure on the side! 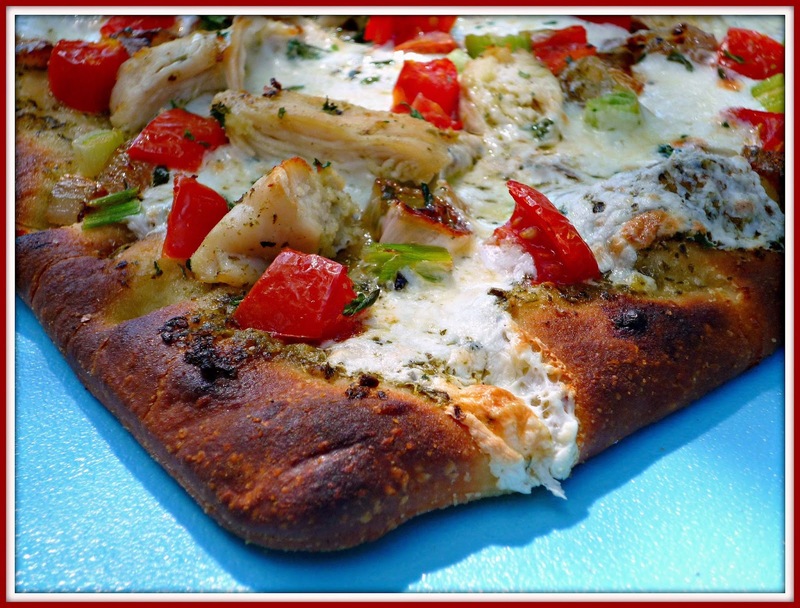 This flatbread is so very tasty! 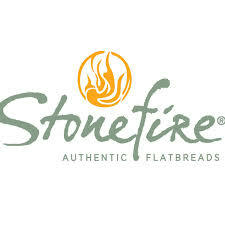 The Stonefire flatbread base is crispy and golden on the edges, but with a nice chew in the middle. The combination of fresh mozzarella, pesto-infused chicken, San Marzano tomatoes, and fragrant caramelized shallots work really well together. The pesto adds an herbal freshness from basil, along with garlic and pine nuts. Once your ingredients are prepped, this flatbread is ready to eat in less than 30 minutes -- quicker than delivery, and you get to control the quality of your ingredients! Disclosure: Stonefire Authentic Flatbreads provided me with a selection of items from their line of pizza crusts and naan bread to facilitate this recipe. All opinions expressed are solely my own.